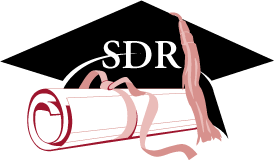 According to the National Science Foundation (NSF), the SDR is the only comprehensive source of data on the careers of science, engineering, and health doctoral degree holders trained in the U.S. Completing the survey is an easy, convenient way to give back to your educational community and to the public interest. Data from SDR help government, business, academic, and industrial leaders to forecast labor demand and supply in many fields--your participation increases the accuracy of these data. Many	U.S. government agencies use data from SDR to get an overall sense of scientific, engineering, and health resources, and then formulate science and engineering policies in view of these resources--your participation increases the accuracy of the data on which these policy decisions are made. Private organizations use SDR data to understand employment and salary trends and to develop recruitment strategies and benefits packages that are effective--your participation helps industry leaders better understand the scientific and technical workplace. careers--your participation makes the data more useful to these students. Amsen, E. (2011). Leaving the Lab: Career Development for Developmental Biologists. Development, 138(10), 4107-4109. Balsmeier, B. and Pellens, M. (2016). How Much Does It Cost to be a Scientist? Journal of Technology Transfer, 41(3), 469-505. Blau, D. M., & Weinberg, B. A. (2016). Why the U.S. science and engineering workforce is aging rapidly. PNAS, 114(5), 3879–3884. Available at: http://www.pnas.org/cgi/doi/10.1073/pnas.1611748114. Blume-Kohout, M. (2014). Understanding the gender gap in STEM fields entrepreneurship. SBA Small Business Research Summary, 424, 1-5. Campbell, T. A. (2015). Career pathways in a knowledge-based economy: Earnings inequality among science and engineering doctorate recipients. Carrillo, I. A., and Karr, A. F. (2013). Combining cohorts in longitudinal surveys. Survey Methodology, 39(1), 149-182. Fisch, C.O. et al. (2015). University Patenting: A Comparison of 300 Leading Universities Worldwide. Journal of Technology Transfer, 40(2), 318-345. Flaherty, C. (2013). Working way past 65. Inside Higher Education News, Published Online 17 June 2013. Frehill, L., and Ivie, R. (2013). Increasing the Visibility of Women of Color in Academic Science and Engineering: Professional Society Data. New Directions for Higher Education, 2013(163), 7-21. Garrison, H., Justement, L., and Gerbi, S. (2016). Biomedical science postdocs: an end to the era of expansion. FASEB Journal, 30. Ginther, D. and Kahn, S. (2012). Education and Academic Career Outcomes for Women of Color in Science and Engineering, Seeking Solutions: Maximizing American Talent by Advancing Women of Color in Academia: A Conference Report. Goulden, M., Mason, M.A., and Frasch, K. (2011). Keeping Women in the Science Pipeline. The Annals of the American Academy of Political and Social Science, 638(1), 141-62. Hale, K. and Hamilton, K. (2016). Trends in the relationship between U.S. academic scientific publication output and funding and personnel inputs: 1988-2011. Working Papers, NCSES 16-200. Arlington, VA: National Science Foundation, National Center for Science and Engineering Statistics. Hopkins, A.L. et al. (2012). Disparities in Publication Patterns by Gender, Race and Ethnicity Based on a Survey of a Random Sample of Authors. Scientometrics. November 2012, 1-20. Kahn, S., and Ginther, D. (2017). The impact of postdoctoral training on early careers in biomedicine. Nature Biotechnology, 35, 90-94. Kim, D., Wolf-Wendel, L., and S. Twombly. (2011). International Faculty: Experiences of Academic Life and Productivity in U.S. Universities. The Journal of Higher Education, 82 (6), 720-747. Larson, R. C., Ghaffarzadegan, N., & Xue, Y. (2013). Too many phd graduates or too few academic job openings: The basic reproductive number r0 in academia. Systems Research and Behavioral Science, 31 (6), 745–750. Mamiseishvili, K. (2013). Contributions of Foreign-born Faculty to Doctoral Education and Research. New Directions for Higher Education, 2013(163), 89-98. Mason, M. A., Wolfinger, N. H., and Goulden, M. (2013). Do babies matter? : Gender and family in the ivory tower. Rutgers University Press. Matchett, K. (Ed.). (2013). Seeking solutions: Maximizing American talent by advancing women of color in academia. Summary of a Conference. National Academies Press. Millar, M. (2013). Interdisciplinary Research and the Early Career: The Effect of Interdisciplinary Dissertation Research on Career Placement and Publication Productivity of Doctoral Graduates in the Sciences. Research Policy, 42(5), 1152-1164. Miller, D. I., and Wai, J. (2015). The bachelorate to Ph. D. STEM pipeline no longer leaks more women than men: a 30-year analysis. Frontiers in Psychology, 6 (37), 1-10. Morrison, E., Rudd, E., and Nerad, M. (2011). Onto, Up, Off the Academic Faculty Ladder: The Gendered Effects of Family on Career Transitions for a Cohort of Social Science Ph.Ds. The Review of Higher Education, 34(4), 525-553. Proudfoot, S. and Hoffer, T. (2016). Science and Engineering Labor Force in the U.S. In L. Gokhberg, N. Shmatko, and L. Auriol (Eds. ), The Science and Technology Labor Force (pp. 77-119). Springer International Publishing. Sabharwal, M. (2013). Comparing Research Productivity across Disciplines and Career Stages. Journal of Comparative Policy Analysis, 15(2), 141-163. Sharpe, R. V. and O. H. Swinton. (2012). Beyond Anecdotes: A Quantitative Examination of Black Women in Academe. The Review of Black Political Economy, published online 28 July 2012. Stephan, P., Franzoni, C., and Scellato, G. (2013). Choice of country by the foreign born for Ph.D. and postdoctoral study: A sixteen-country perspective (no. w18809). National Bureau of Economic Research. Turk-Bicakci, L., Berger, A., and Haxton, C. (2014). The nonacademic careers of STEM Ph.D. holders. American Institutes for Research Broadening Participation in STEM Graduate Education Infobrief, April. Waaijer, C. J. F. et al. (2016). Stability and Longevity in the Publication Careers Of U.S. Doctorate Recipients. PLoS One, 11(4). Webber, K. L. (2013). Cultivating the future of graduate education: Factors contributing to salary for recent doctorate degree recipients. Planning for Higher Education, 41(4), 102. Webber, K. L. and Canché, M. G. (2015). Not Equal For All: Gender And Race Differences in Salary for Doctoral Degree Recipients. Research in Higher Education, 56(7), 645-672. West, B.T., Sakshaug, J.W., and Aurelien, G. A. S. (2016). How Big of a Problem is Analytic Error in Secondary Analyses of Survey Data? PLoS One, 11(6). Whittington, K.B. (2011). Mothers of Invention? : Gender, Motherhood, and New Dimensions of Productivity in the Science Profession. Work and Occupations, 38(3), 417-456. Yang, L. and Webber, K. L. (2015). A Decade Beyond The Doctorate: The Influence of a US Postdoctoral Appointment On Faculty Career, Productivity, and Salary. Higher Education, 70(4), 667-687. Blume-Kohout, M. (2015). Gender, values, priorities and satisfaction in STEM occupations. Paper presented in the panel Gender in the workplace, Association for Public Policy Analysis and Management 2015 Fall Conference, Session 6231, Washington, DC. Brown, S. and Grigorian, K. (2016). 2015 SDR data collection results. Presented at the SDR Community User Meeting, National Center for Science and Engineering Statistics Human Resources Program Expert Panel, Arlington, VA.
Chang, W-Y. (2016). Future SDR sample design. Presented at the SDR Community User Meeting, National Center for Science and Engineering Statistics Human Resources Program Expert Panel, Arlington, VA.
Chang, W-Y et al. (2012). Migration Patterns of U.S.-Trained Doctorate-Holders. Joint Statistical Meetings, San Diego, CA. August 2012. Chang, W-Y., Milan, L.M., and Proudfoot, S. (2014). Balancing Timeliness, Data Quality, and Cost by Optimizing Data-Collection Strategies. Joint Statistical Meetings, Boston, MA. August 2014. Chang, W-Y., Yang, M. (2016). 2015 Survey of Doctorate Recipients redesign & expansion human resources expert panel SDR sample redesign. Presented at the SDR Community User Meeting, National Center for Science and Engineering Statistics Human Resources Program Expert Panel, Arlington, VA.
Foley, D. (2016). History of the Survey of Doctorate Recipients: 1973 - 2015. Presented at the SDR Community User Meeting, National Center for Science and Engineering Statistics Human Resources Program Expert Panel, Arlington, VA.
Ginther, D.K. and Kahn, S. (2012). Education and Career Outcomes for Women of Color in Academia. National Academies' Conference Seeking Solutions: Maximizing American Talent by Advancing Women of Color in Academia, Washington, DC. June 2012. Grigorian, K., Cox, B.G., and Milan, L.M. (2012). Development of the Sample Design for the International Survey of Doctorate Recipients. Joint Statistical Meetings, San Diego, CA. August 2012. Hart, B.M. (2011). Salaries, Student Debt, and Employment Opportunities in Psychology, Midwestern Psychological Association, Chicago. May 2011. Khan, S. and Ginther, D. (2015). Good moves: Gender and race differences in academic mobility in the sciences and social sciences. Paper presented in the panel Factors in STEM workforce occupational choices, Association for Public Policy Analysis and Management 2015 Fall Conference, Session 5745, Washington, DC. Milesi, C., Hoffer, T.G., and Milan, L.M. (2012). Science and Engineering Doctorate Recipients as Adjunct Faculty: New Findings from the Survey of Doctorate Recipients. American Educational Research Association. April 2012. OECD/UNESCO Institute for Statistics/Eurostat Careers of Doctorate Holders (CDH) Project, The Organisation for Economic Co-operation and Development, December 2012. Reed, A. (2011). The Status of Linguistics Programs in Higher Education. Linguistic Society of America Annual Meeting, Pittsburgh. January 2011. Rockey, S.J. (2012). 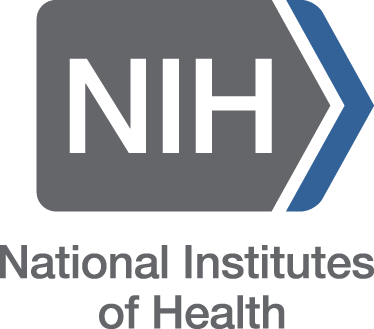 Rock Talk: NIH Support of Biomedical Research. NIH Regional Seminar on Program Funding and Grants Administration, Washington, D.C. June 2012. Selfa, L. (2016). 2015 SDR data estimation results. Presented at the SDR Community User Meeting, National Center for Science and Engineering Statistics Human Resources Program Expert Panel, Arlington, VA.
Sinclair, M. et al. (2012). Utilizing a Logistic Regression Approach for Weight Adjustment in a Longitudinal Dataset. Joint Statistical Meetings, San Diego, CA. August 2012. Woolf, L. (2014). 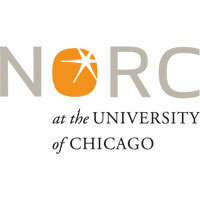 Preparing Graduate Students for Non-Academic Careers. American Association of Physics Teachers Meeting, Panel DC02, Orlando, FL. January 2014. Yang, M. (2012). Integration of the National and International 2008 SDR: Bridging Effects and Expected Improvements to the Time Series Data. Joint Statistical Meetings, San Diego, CA. August 2012.